Why cant I create forms each one under a different email to submit? Or maybe I dont know how. I have created a form and when I submit I get mail to my both emails account. I inspected your forms and found out that you have 3 different notifications. 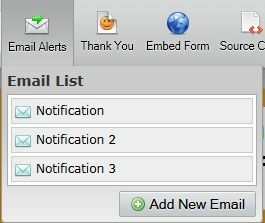 Each notification has a different email address. Hope you find this info helpful. Get back to us if you have further questions.